Buy Natracare Super + Ultra Pads Regular with Wings (12) in the UK from our online shop or directly from our independent Scottish store. Where can you buy real Ultra Pads Super + safely online? 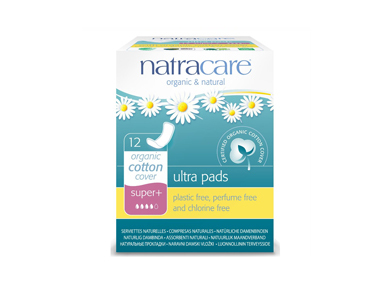 If you are wondering where you can buy Natracare Super + Ultra Pads Regular with Wings (12) safely online in the UK, then shop with us. Ultra Pads Super + - Natracare Super + Ultra Pads Regular with Wings (12) in Pads & Towels and Female Hygiene.